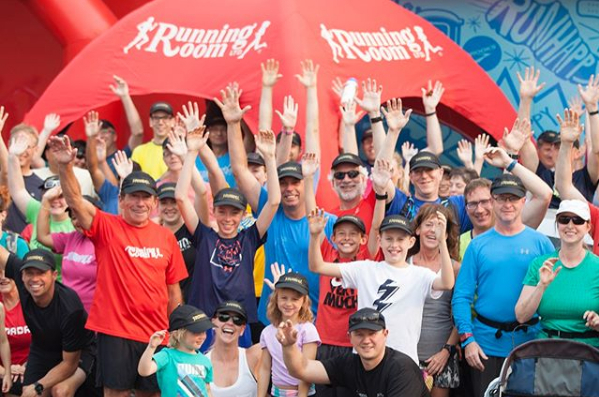 The Running Room: A Company Running with Great Customer Service! Over the last few weeks, I’ve written about some of the challenges facing the retail industry, and highlighted some retailers that are changing the way they do business. Recently, I’ve come across another company that really seems to capture the essence of customer service, as it clearly comes from the top down. As anyone who knows me well can tell you, I really have a difficult time finding shoes that fit me. While I’ve frequently gone to The Running Room for my daughter’s shoes, I never seem to find anything that works for me, so an employee suggested I go online for a wider variety of their shoes. They told me that there are no shipping fees or returns fees involved. I thought I’d take a shot at it and (of course) immediately ran into an obstacle when the one pair of shoes I really liked were not available in my size. They had every other size except mine! Throwing up my hands in frustration, I decided to put The Running Room to the test and I contacted their head office. Their head office phone number is answered by a recorded greeting of their founder, John Stanton, and includes an option of hitting a button to speak directly to John. I wasn’t expecting to speak to someone, but to my surprise, he immediately answered. I had a lovely chat with John, told him my problem, and without hesitation he offered to find someone to help me and said I would get a call back in just a few minutes. Not fifteen minutes later, one of John’s colleagues called me up, asked me some questions about my needs, did some research, and found me some options for shoes that would work for me. While I was given the option of picking the shoes up from the store, it was easier to have them delivered to my house and within a few days, I had a pair of shoes that fit and easily returned the others that I chose not to keep. It’s rare to find a company that goes above and beyond to keep customers happy, and it’s even more rare to have a President who is as accessible as John is (answering his own phone). Clearly, The Running Room gets it. Thanks to John and his team, I now have a pair of running shoes that fit my needs….and my feet!